"Full of Landy’s trademark wit, action and razor sharp dialogue, DEMON ROAD kicks off with a shocking opener and never lets up the pace in an epic road-trip across the supernatural landscape of America. Killer cars, vampires, undead serial killers: they’re all here. And the demons? Well, that’s where Amber comes in...Sixteen years old, smart and spirited, she’s just a normal American teenager until the lies are torn away and the demons reveal themselves. Forced to go on the run, she hurtles from one threat to another, revealing a tapestry of terror woven into the very fabric of her life. Her only chance rests with her fellow travellers, who are not at all what they appear to be…"
I read this book as part of a read-along that I organised with Harper Collins NZ and was thrilled to have such an interesting book be the subject of my first ever read-along. 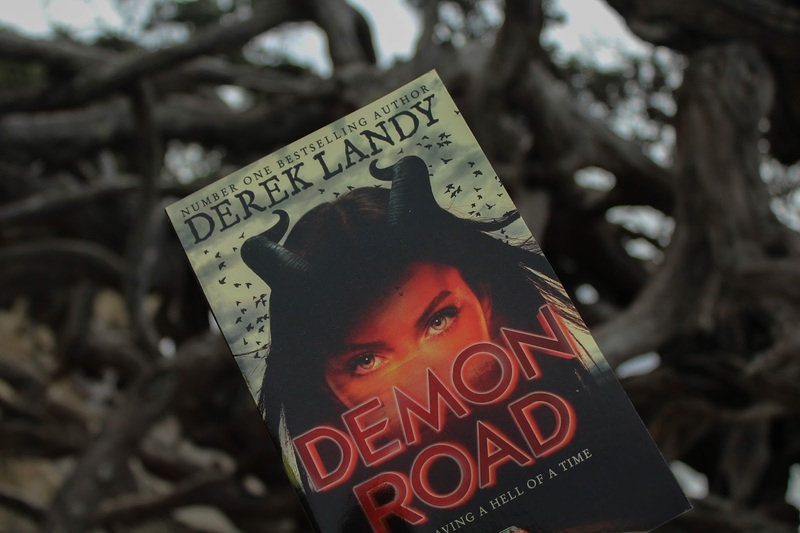 Demon Road follows the a few weeks in the life of Amber Lamont as she is literally chased by demons and who, in the beginning of the book, believes she's an average teenager but it quickly revealed to readers that this is not the case. I think that this books either hooks you from the first line or it doesn't, it has a very shocking opening that definitely hooked me. The mythical elements within Demon Road were very impressive, I loved that some of the creatures were traditional while others had newer spooky elements that I would have never thought of in my wildest dreams, but I think my dreams may be plagued with some of the characters for the rest of my life! I felt as though I was reading an episode of Supernatural, which is definitely a good thing. The second quarter of this book (for the read-along we read it in quarters, so this was from like page 125-250 ish) was my absolute freaking favourite part of this book, it was so action packed! If you're into horror/thriller-ish books you should consider picking up this one! I guess that the only downside of having so many creepy creatures is that it didn't leave much room for character development. Every few chapters there was a new mythical creature to battle and learn about and by the end it was a tiny bit much! One thing that upset me about this book, although I did enjoy it, was how plot focused it was. I'm not sure if that is the correct way to phrase that, but there was little to no character development in the entire book. We start off with Amber and her travel companion Milo, later on we meet a character called Glen, and then that's kind of it... As a reader you barely learn anything about Milo (which is an incredible shame as he was my absolute favourite character and I could have happily read 100,000 words on his backstory) -- I kept thinking to myself as I got closer to the end "When are we going to learn a bit more about these super interesting characters?!" which was so frustrating. Early on in the book we're introduced to Amber's parents (Bill and Betty) and man were they the creepiest and most awesome parents that I have ever seen in a Young Adult book ever. They were so entirely cold-hearted and brutal, and let's be real, most of the parents in YA books are either really distant or they're too mushy but these parents were in a league of their own, I wished they'd been in the book just a tad more so I could be even more impressed with those killer parents. Demon Road was very intense from start to end, and I could have very easily finished the book all in one sitting (a few of our read-along members confessed that they couldn't wait to read it, so ended up finishing early, haha) it's one of those books that refuses to let you go because every chapter is entertaining and eventful. I even found that the scenes with them just driving along 'Demon Road' to be great. I will be 100%, without a doubt in my mind, picking up Desolation. I hope that I'll get to learn about and connect with the characters a bit more, now that we've got most of the learning and world building out of the way. 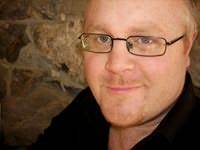 (From Goodreads) Derek Landy is an Irish writer and screenwriter. In addition to the bestselling children's/YA series of Skulduggery Pleasant books, a supernatural mystery series starring Skulduggery Pleasant, a skeleton detective, and Valkyrie Cain, a young female magician, he has written two screenplays that have been made into films: the IFTA award winning "Dead Bodies" and the IFTA nominated "Boy Eats Girl". Landy himself was nominated for an IFTA for Best Script. 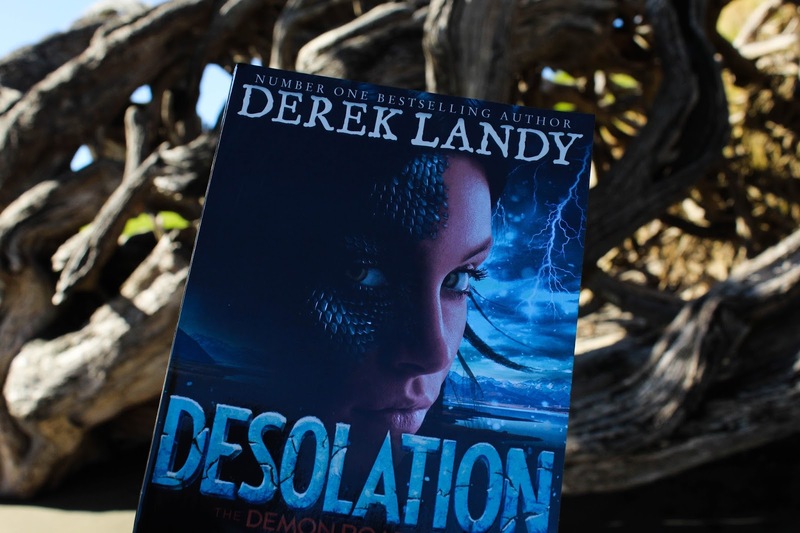 I received both Demon Road and Desolation from Harper Collins NZ in return for an honest review!